Tips: Please download "Cardboard" in APP store or google Play to enjoy this vr headset. Note Cellphone showed in the pictures is excluded in the package. Please search Cardboard in APP Store / Google Play to download virtual reality APP. 5. If there's phenomenon of fuzziness and double images, please adjust the 2 pupil distance adjustment switches at the top of the device to ensure that the observed pictures are clear and without double images. The lens fluctuate from left to right,and to the position with clear view. 1. Please try to view the 3D movies or 3D games with high-resolution mobile phones. 2. Please choose HD videos with good 3D effect to view. SUPREME LENS MATERIAL: BOBOVR is made of high quality ABS and 42mm diameter environmental spherical resin lens material,which can lower down the distortion to the minimum when magnifying images, so you will not feel dizzy even with wearing it for a long time. ADJUSTABLE T-SHAPE STRAPS: This design can help decrease the pressure on and around your eyes when wearing it, so you will feel much more comfortable when enjoy movies or games. FITS FOR ALL GROUPS: With the pupil and object distance adjustable, BOBOVR satisfies different groups of people.Optical Axis Sliding Control function enables you slightly adjust the position of the spherical resin lens through moving the button on the top of the 3D VR goggles. EXCELLENT DIAPHRAGM MATERIALS FOR EARPHONE: Diaphragm is the core of earphone, being essential to the sound quality. Making diaphragm with 40mm, and applying with PET materials in Sheet Molding Technology assures the mediant effect, making you explosive in simulating a true scene. 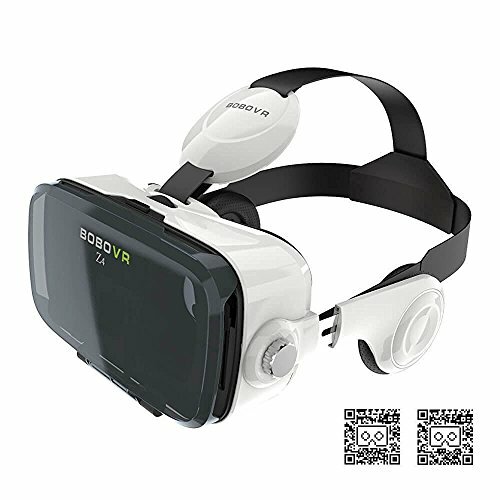 WIDE COMPATIBILITY: BOBOVR Z4 fits most smartphones whose screen size is between 4" to 6". Such as iPhone 7/7 Plus, 6/6S, 6/6S Plus,5/5S/SE, 4/4S,iPod Touch, Samsung, Googles, Sony, LG, HTC, Huiwei, Nexus etc. If you have any questions about this product by ACGAM, contact us by completing and submitting the form below. If you are looking for a specif part number, please include it with your message.